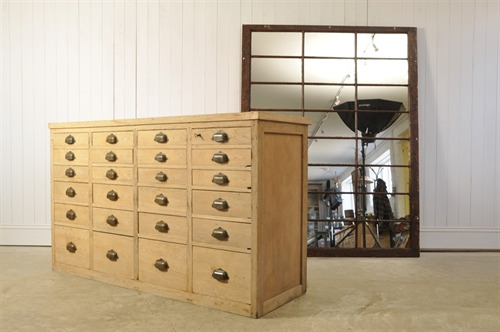 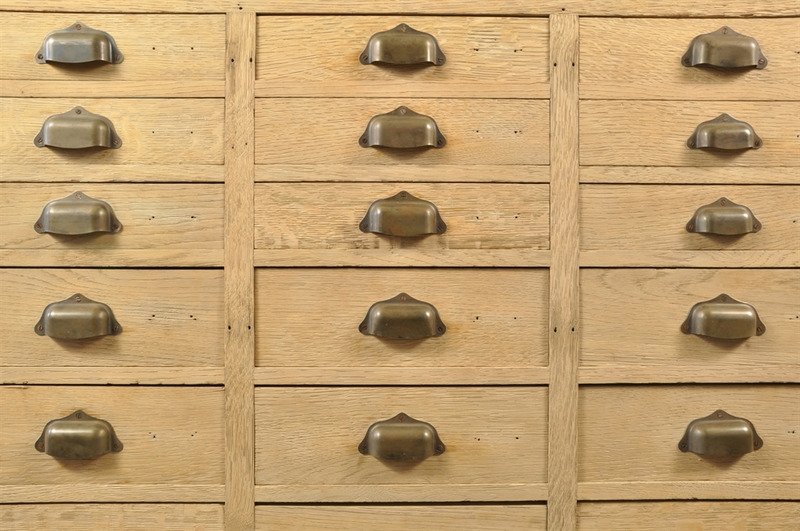 Oak and Zinc Bank of Drawers - Original House – Decorative Antiques, Vintage Industrial Furniture and Lighting, Cotswolds. 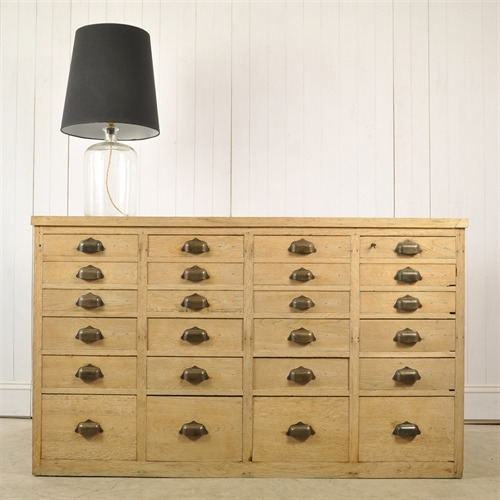 A useful size - not being so large as some of the vintage shop fittings we source. 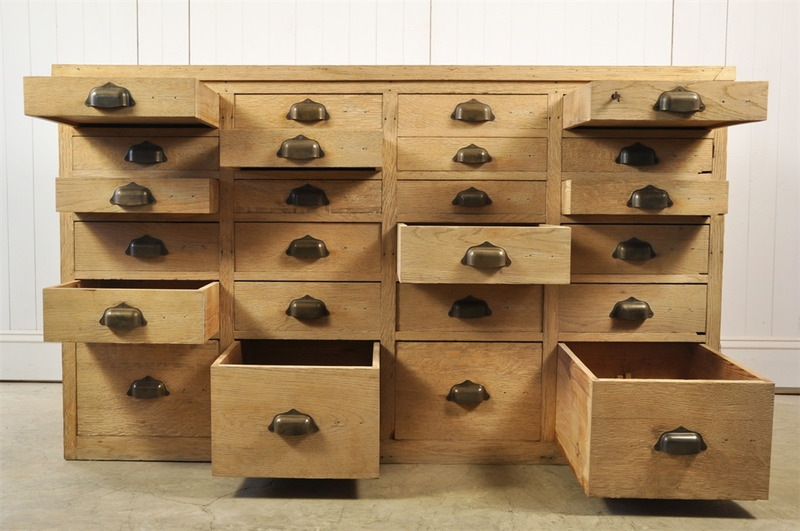 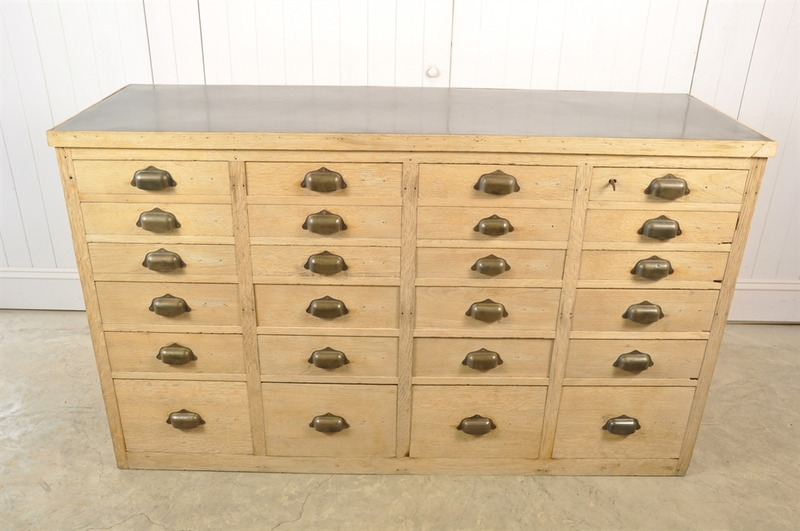 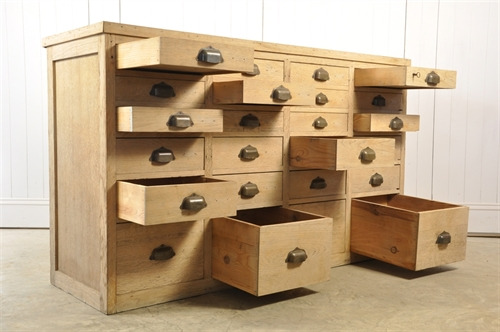 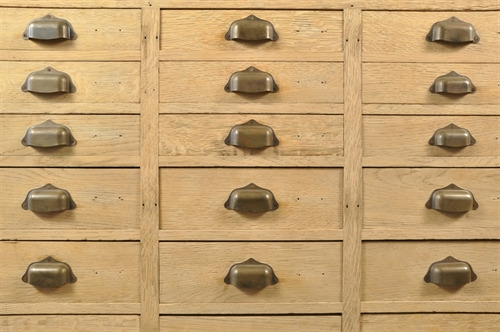 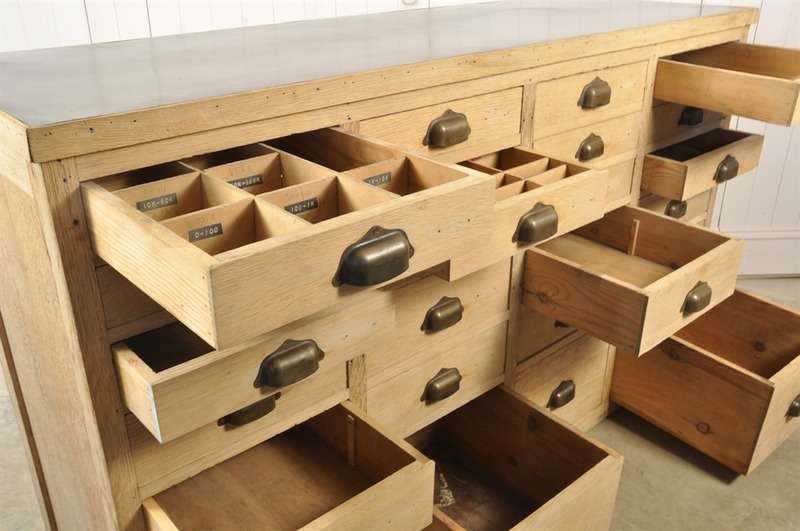 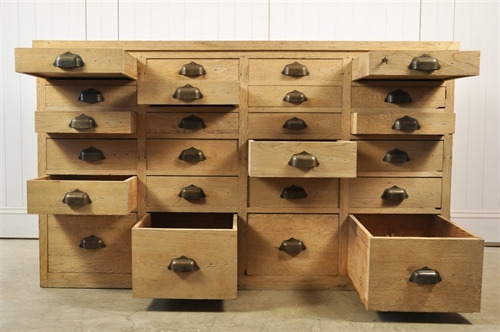 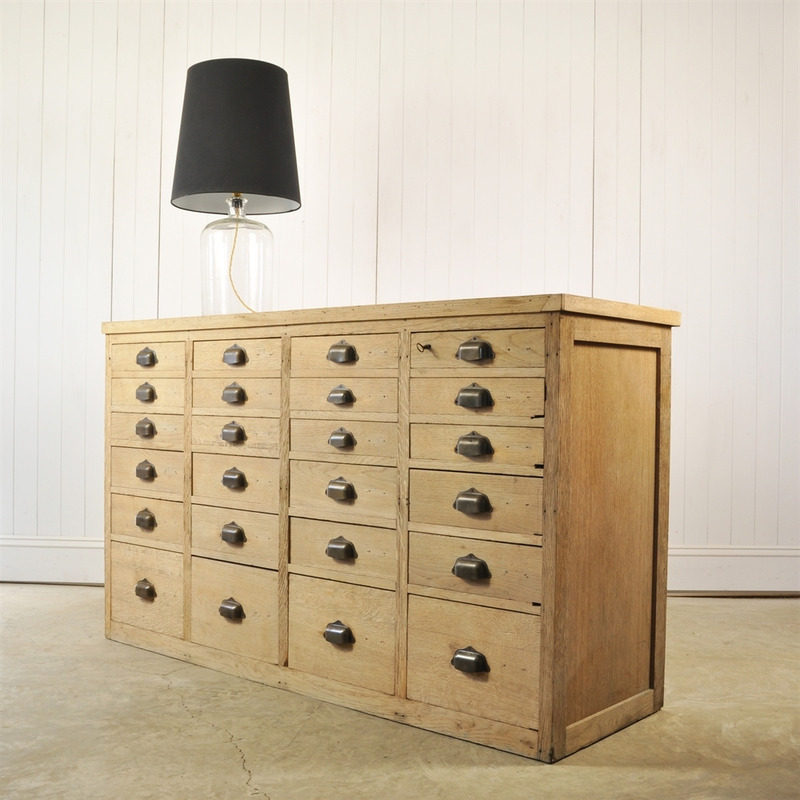 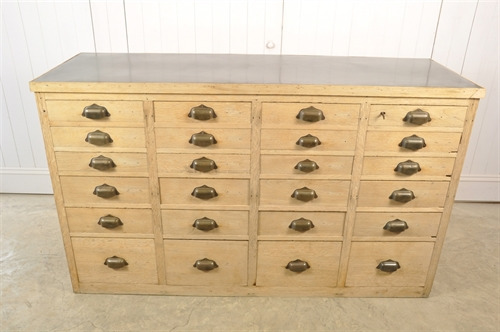 This oak bank of drawers was sourced from a haberdashery in Dijon, France. 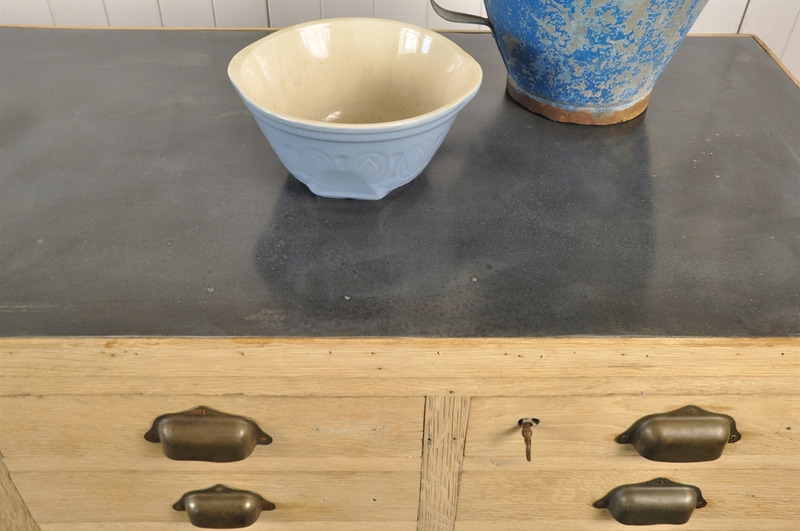 Originally painted, this has been very gently sandblasted, giving the oak a fantastic colour and texture, retaining some of the original blue paint in a few places. 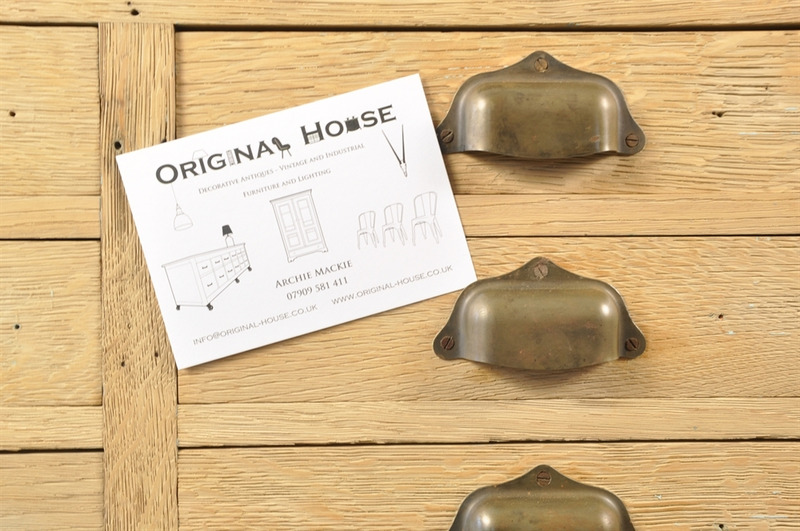 Original cup handles to the drawers which all run smoothly. 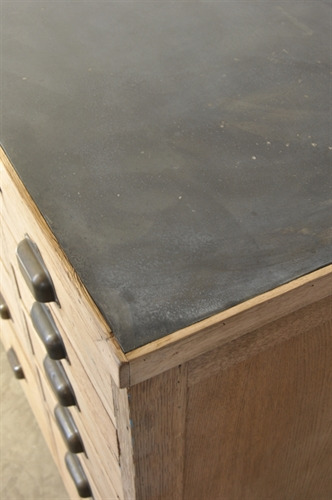 The top has had a new zinc insert.